The return of the Jews to the Holy Land is a miraculous process described by the prophets, which has attracted other people to the land as part of their spiritual journey. One of the more remarkable groups now living in Israel is the 5,000 African Hebrew Israelites who arrived in Dimona, Arad and Mitzpeh Rimon over 45 years ago. The founder of the movement, Ben Carter, a metal worker from Chicago, believed that Africans were the descendants of Biblical Hebrews. He changed his name to Ben Ammi and in 1966, after claiming to have had an epiphany from the Angel Gabriel telling him to lead African Americans to Israel, he led 350 followers from Chicago to Liberia, where they stayed for two-and-a-half years, suffering great hardship. Finally, after great effort, the African Hebrew Israelites arrived at their destination in Israel. Ben Ammi passed away in 2014 but the community is unified and continues to thrive. In Israel, a legal battle ensued over the group’s citizenship. The Chief Rabbinate did not recognize them as Jews, blocking their citizenship under the Law of Return. In 2003, the group was granted permanent residence status. Hebrew Israelites do not claim to be Jewish or part of any particular religion, however, they claim to have a common ancestry with the nation of Israel via King Solomon and the Queen of Sheba. Israel’s geographic proximity to Africa has led to claims that migration and mingling of bloodlines was likely. In his book “God, the Black Man, and Truth”, Ben Ammi points out, “We know that many West Africans, especially the Ashantis, are direct descendants of the ancient Hebrews.” Other African groups claim this connection, such as the Ethiopian Jews and the recently discovered Lemba tribe. 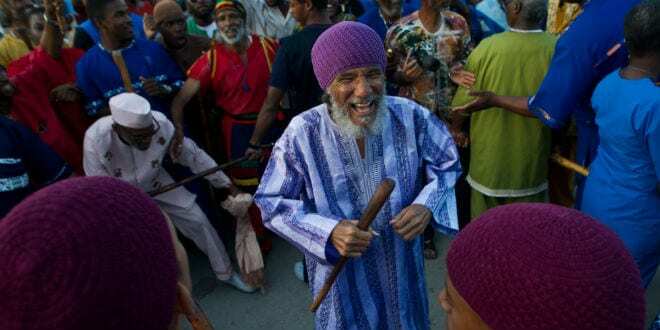 Ahmadiel Ben Yehuda, Minister of Information and National Spokesman for the African Hebrew Israelites of Jerusalem, explains that the roots of the group are traced back to the tribe of Judah. The Hebrew Israelites observe many Biblical commandments kept by Jews, including the Sabbath and Holy Days. The men attach fringes to their garments, though not in the same manner as the Jews. They maintain a vegan diet, according to their understanding of Genesis 1:29. The Hebrew Israelites wear only natural fabrics, such as cotton, wool, linen and silk (Leviticus 12:12), and do not wear leather shoes. Males are circumcised when they reach eight days old (Leviticus 12:3) and women observe family purity laws (Leviticus 12:2-5). A strong emphasis is placed on healthy living as a form of serving God. Ben Yehuda has no doubts about how this would look in a Biblical context. “If Moses were here today, he would say, ‘Thou shalt not smoke’. We need that kind of platform to serve God. We need to change our diet. We need to distinguish ourselves by music. We are going back to the Bereshit idea, of eating every herb bearing seed,” he explained to Breaking Israel News. 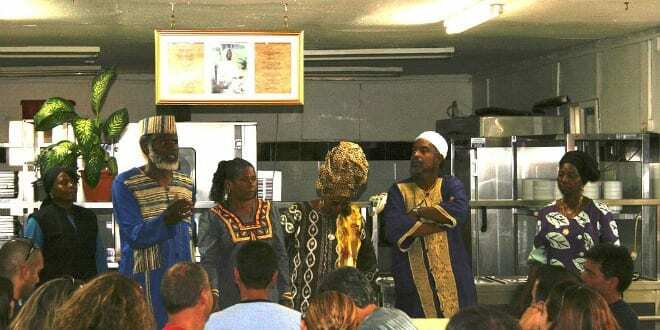 The Hebrew Israelite community is strictly vegan and actively promote this on the internet and by running a Vegan restaurant in Tel Aviv. They do not drink alcohol, except naturally fermented wines they produce themselves, exercise a minimum of three times a week and have one full-body massage each month. There are periodic communal salt-free or sugar-free weeks. Music is another direction their devotion takes, and the Hebrew Israelites gospel choir is popular throughout Israel and America, representing Israel twice in the EuroVision, the international music contest. Ben Yehuda is proud of his community’s accomplishments. The Hebrew Israelites are now in their second and third generation in Israel. Their children are Sabras (native Israelis) and are drafted into the army. Though not Jews, their destiny is intertwined with the nation of Israel. Adam Eliyahu Berkowitz is a features writer for Breaking Israel News. He made Aliyah to Israel in 1991 and served in the IDF as a combat medic. Berkowitz studied Jewish law and received rabbinical ordination in Israel. He has worked as a freelance writer and his novel, The Hope Merchant, is available on Amazon. He lives in the Golan Heights with his wife and their four children.